The laboratory is a representation of your actual lab, to which you add equipment and furniture. 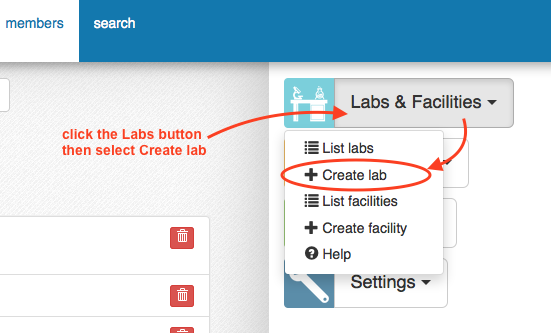 If you are not the main contact/ owner or PI for the lab, check that the lab has not already been created on the system - you can use the search tool to see if it is listed already. complete this with the required details. 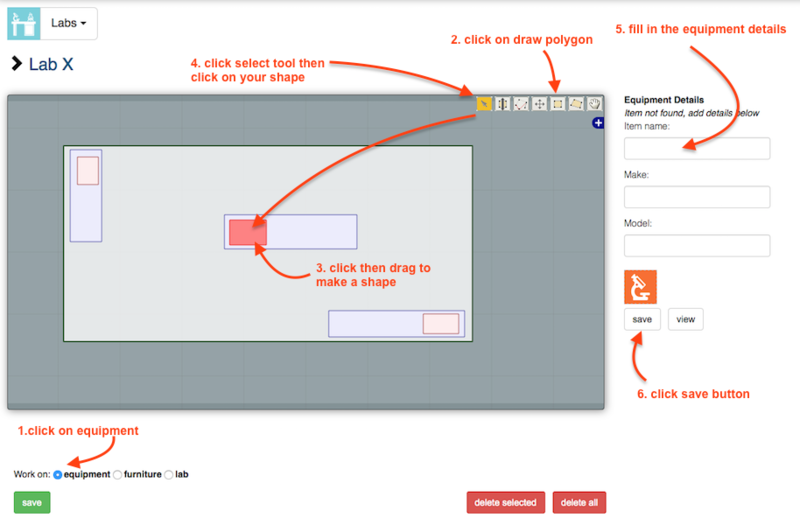 you can choose to upload a floorplan image (gif, jpg or png format) or you can draw a plan in the floorplan editor later on. the empty lab will be created. 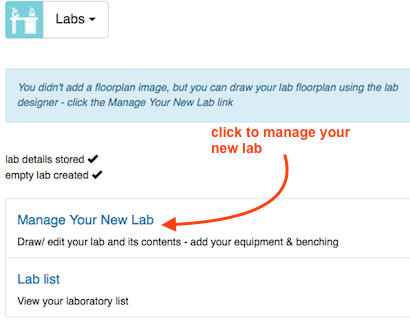 Select the 'Manage your new lab' option - this will allow you to continue to the lab floorplan designer screen where you can add equipment, furniture and to draw the floorplan if you didn't upload a floorplan image in the previous step. Lab items are outlined in dark green. Once you have created the lab, you can add the furniture and equipment. 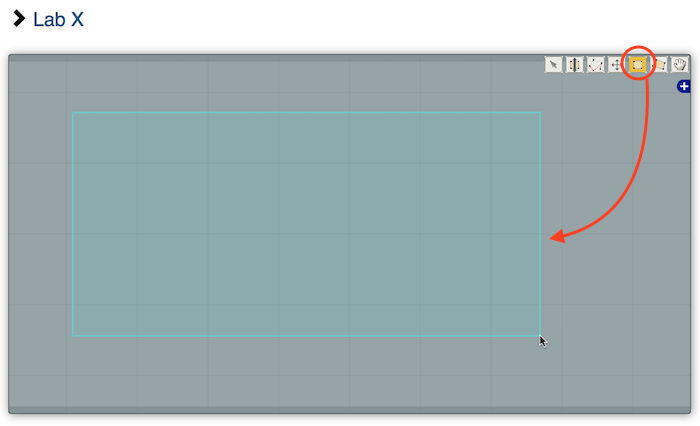 enter the item name - this will begin to match items in the central asset register. 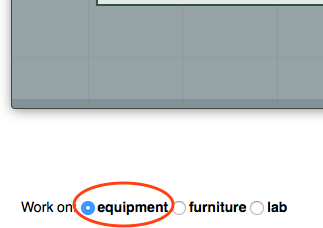 If your equipment is listed, select the item that appears and the data will be filled in for you. 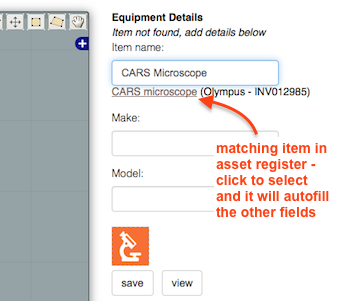 If your item is not listed, continue to type and complete the Make and Model fields. 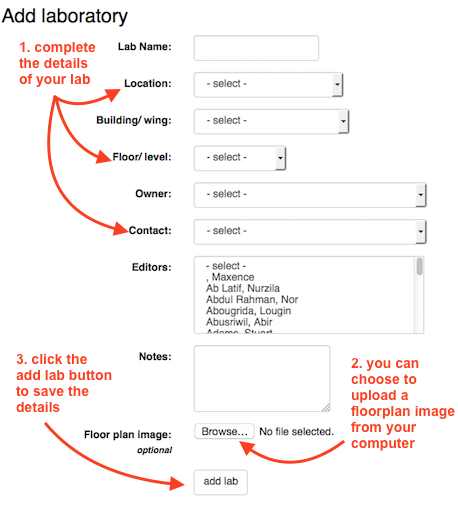 repeat this process for each item you want to list in your lab. Equipment items are outlined in red. 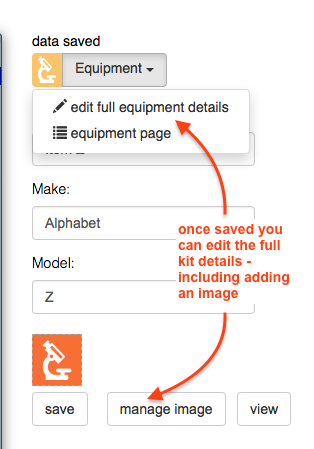 Once you have added an equipment item, the equipment details panel on the right will update to allow you to access the full details you can store on each equipment item, such as setting up booking options and adding an image. 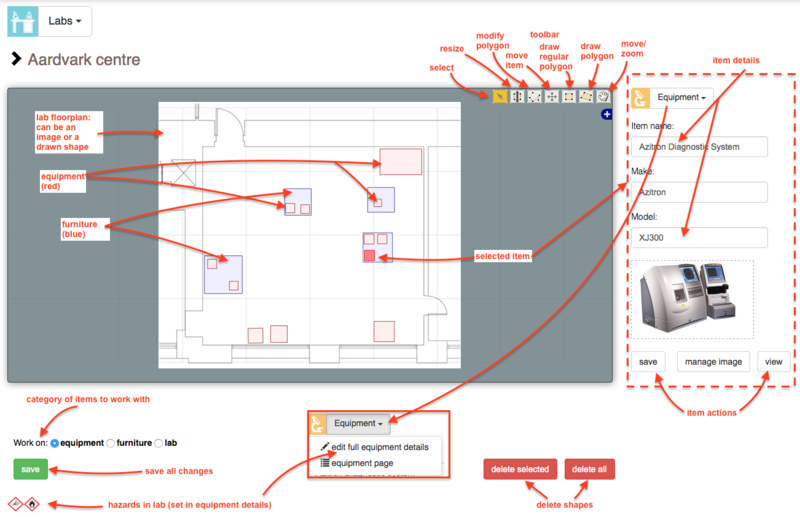 adding furniture (desks, benching, cupboards) is very similar to adding equipment, the main difference being that furniture have more limited meta data associated with them. Furniture items are outlined in blue. 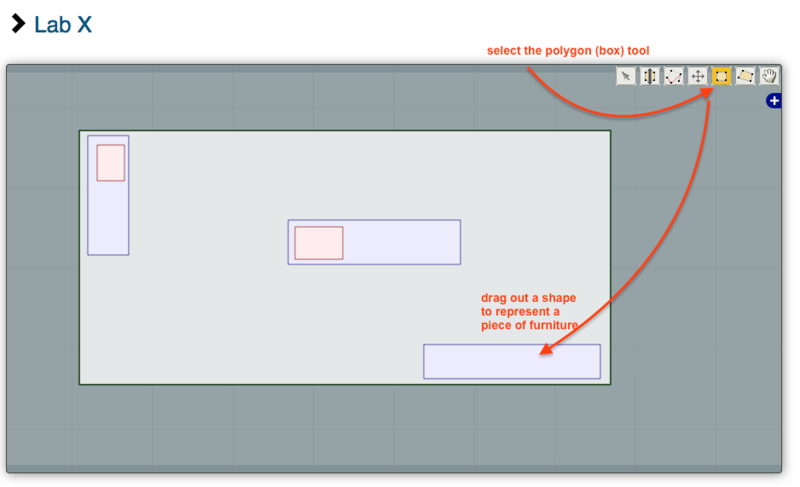 drag out a shape to represent your furniture item (bench, desk etc).